The cover is made from metallic paper in the colour of old gold. 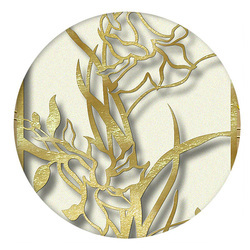 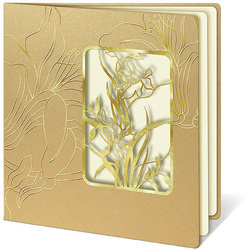 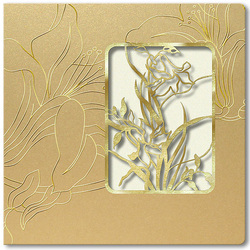 Flower motifs are added with gold foil, or laser cut. 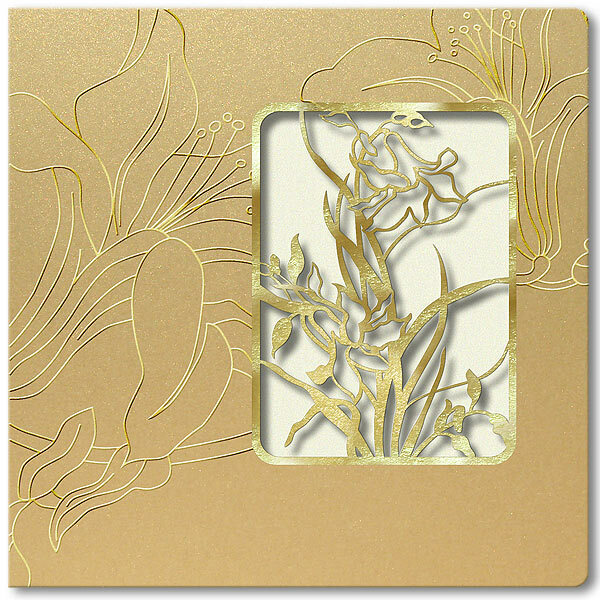 The inside of the invitation is metallic opalescent with a gold shimmer.